Conveniently located within a short walk of the central bus station, the functional Sabrina Court Hotel has staid but fairly spacious rooms with attached baths, air-con, hot and cold water showers, WiFi and free breakfast. Ad Book now! Rates from US$19.04++. Average rating 6.6 from 276 reviews. 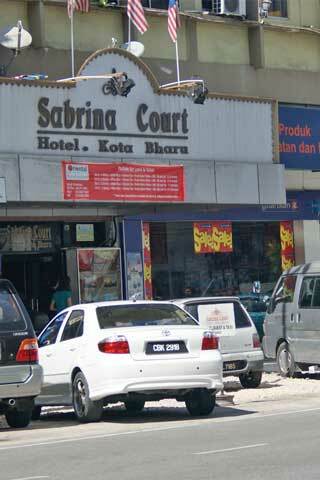 With a Chinese restaurant within their lobby area and an in-house laundry service, this could be a good choice for travellers with a family in tow (or travellers who like Chinese and need their laundry done) but there is really little to distinguish it from many of the other mid-priced hotels in Kota Bharu. Banks, a moneychanger, minimarts and eateries are all within a few steps of the hotels.